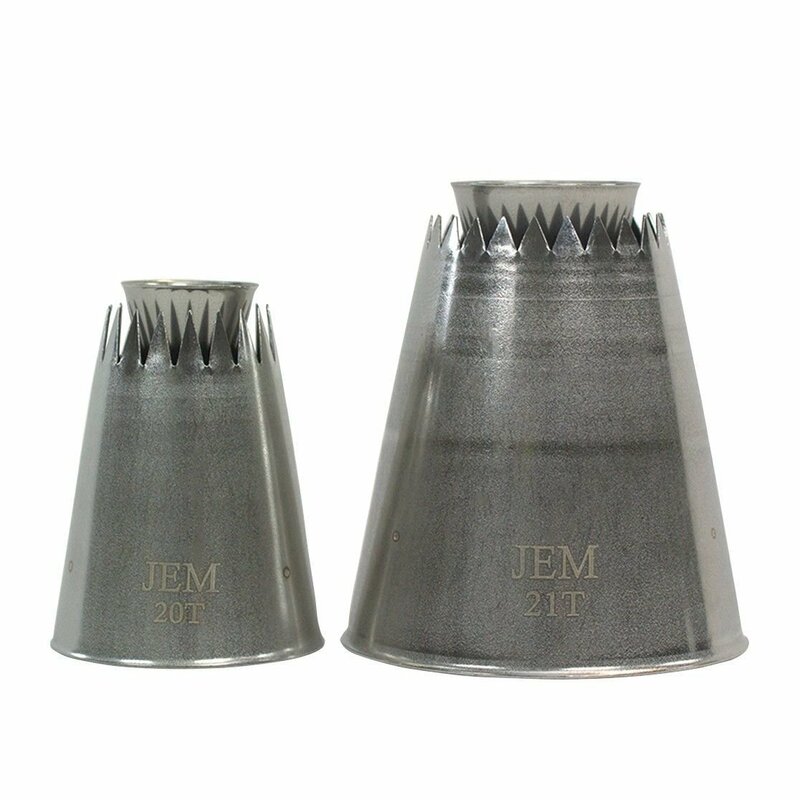 The JEM Twist Nozzle set contains a small and large sultan style tip. This set is great for making meringues, cookies and decorated cupcakes. The tips that you can use without an adapter create a deep star shaped ring. The centers can be filled up with delicious fillings such as custard cream such as custard cream, jam or sprinkles. For the best results hold the piping bag in a vertical position just above the surface and apply an even pressure. Twisting the tube whilst piping will create a curved star shape. Made of seamless stainless steel. Size small: internal top is approx. 1,8 cm in dia, external is approx. 2 cm in dia x 18 stars. Size large: internal top is approx. 2,5 cm in dia, external is approx. 3 cm in dia x 24 stars.